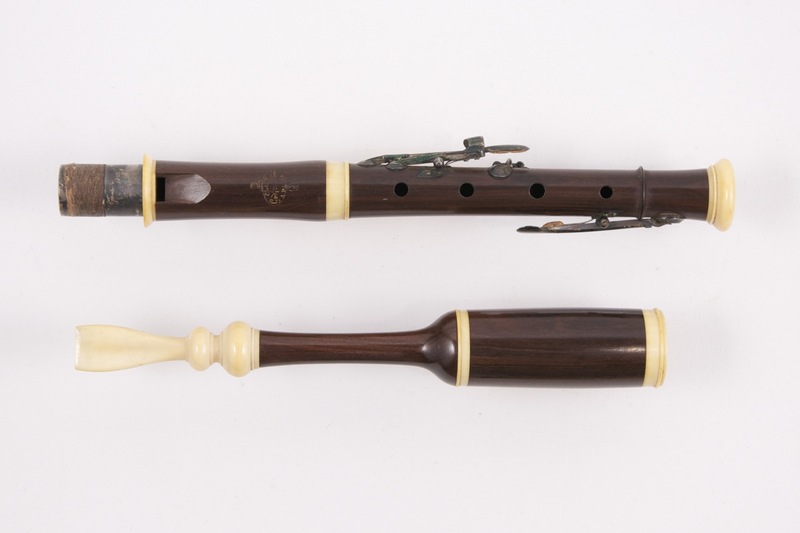 Cocuswood flageolet with mother of pearl beak mouthpiece, nickel silver bands and 7 nickel silver keys. 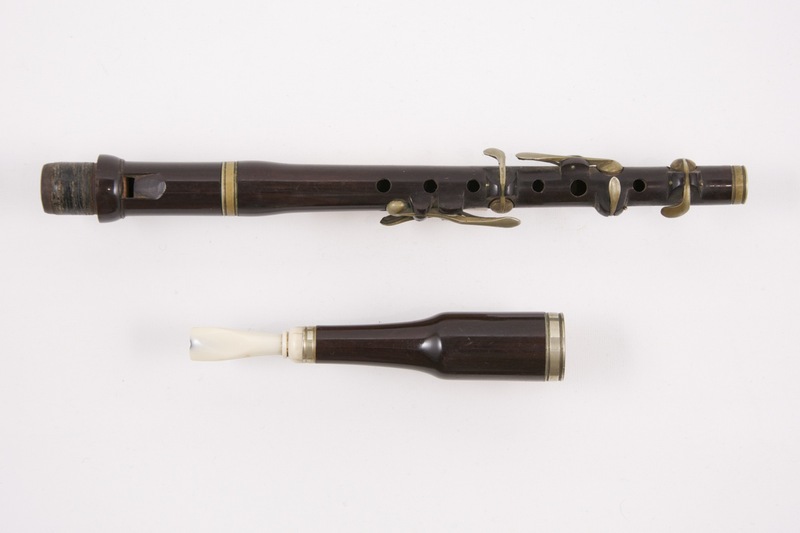 Cocuswood flageolet with ivory beak mouthpiece, nickel silver bands and 6 nickel silver keys. 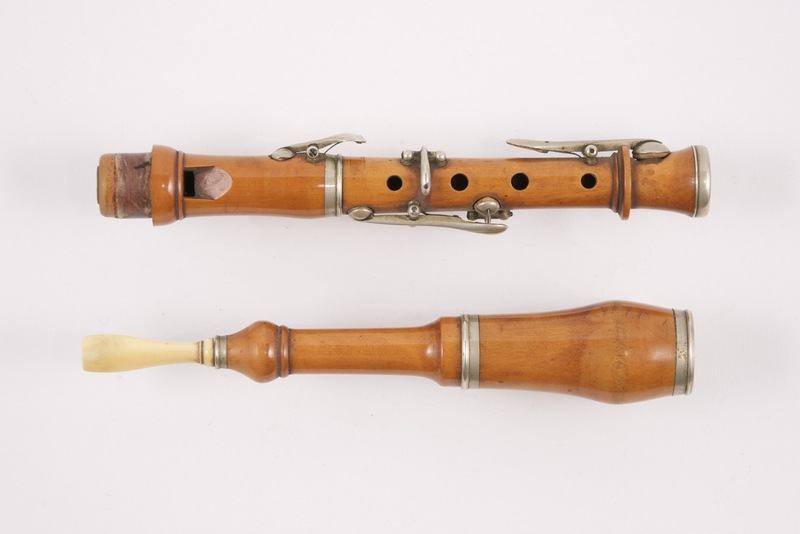 Cocuswood flageolet in his original leather soft case with a mother of pearl button, ivory bands and ivory beak mouthpiece, 4 silver keys. 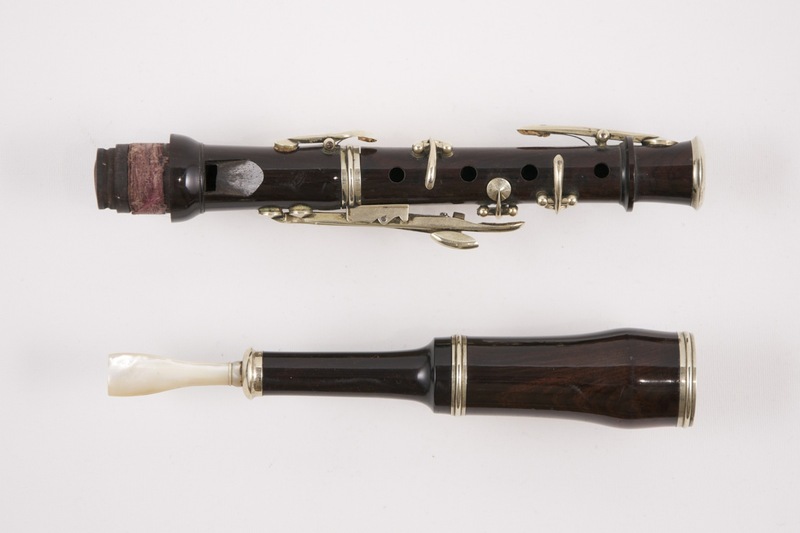 Boxwood flageolet with ivory beak mouthpiece, nickel silver bands and 5 nickel silver keys.